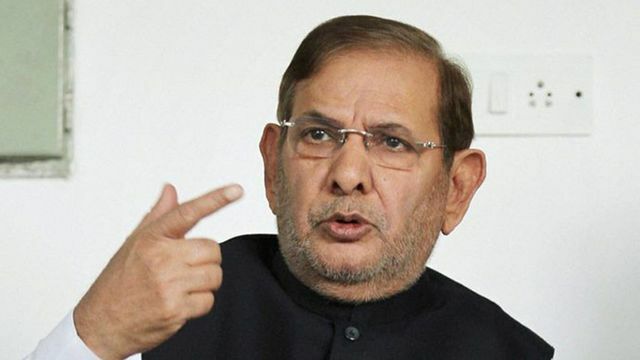 Expelled Janata Dal (United) leader Sharad Yadav, while campaigning in Rajasthan's Alwar, stoked a major controversy by body-shaming Chief Minister Vasundhara Raje saying she needs rest and that she is growing fat. In a video clip shared by news agency ANI, Yadav can be heard saying during a rally on Wednesday, "Vasundhra ko aaram do, bahut thak gayi hain, bahut moti ho gayi hain, pehle patli thi. Humare Madhya Pradesh ki beti hai (Please give Vasundhara some rest, she is tired, she has grown fat, she was thinner earlier. She is Madhya Pradesh's daughter)."